Ethiopian Air Force says it killed 35 al-shabab militants this past week, according to a report by state media – Ethiopian Broadcasting Corporation (EBC) today. 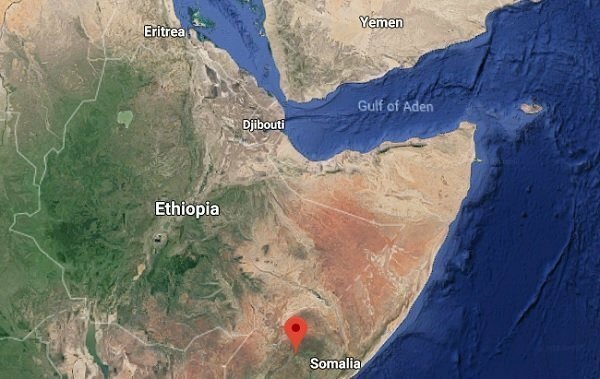 Report from the Ethiopian Defense Force sent to EBC says the Air Force conducted Air strike in al-Shabab military positions 75 kilometers west of Baidoa, Somalia. Ethiopian military helicopters carried out a 45 minutes strike on January 24 in the areas mentioned above. Abdu Usman, operation head of the militant group, and Abdu Salman, grenade operation head, are reportedly killed in the strike. The Ethiopian Defense Force also claimed that Four Vehicles and several weapons are destroyed in the strike. Ethiopia ordered a retaliatory military offensive early last week after Ethiopian peacekeeping convoy was ambushed killing scores of Ethiopian soldiers. The convoy was attacked when it was travelling from Buurhakaba to Baidoa. During the time, al-shabab claimed that it killed over fifty Ethiopian soldiers.